I just can't stop the seasonal frame making insanity. With every holiday comes new pictures to display. Easter is no exception. 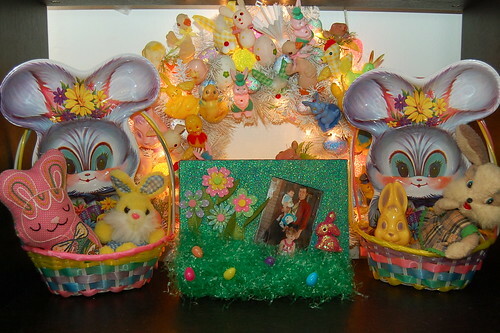 I hit the craft stores, department stores even the thrift stores - but alas there were no cute Easter frames to be found. Luckily I had a plain wooden frame begging for a makeover lingering in my studio. 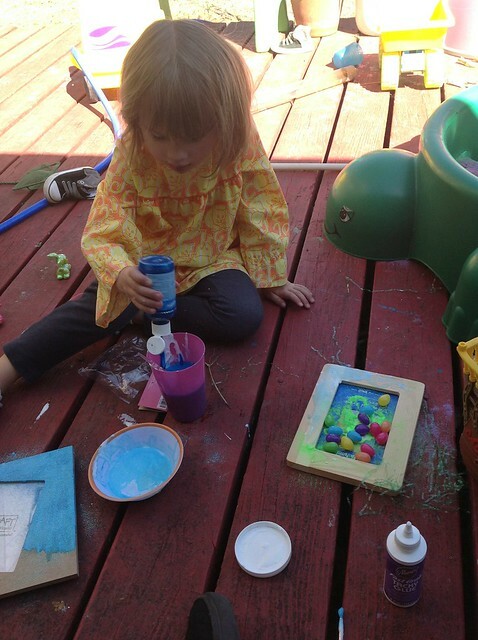 The first thing my crafty partner in crime and I did was make a glue/paint/water potion. I wanted my Tacky Glue thin enough that I could paint it on the frame. 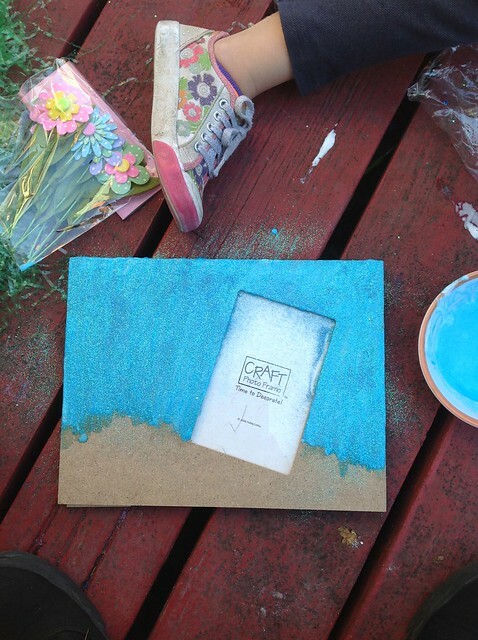 While my glue was still wet I sprinkled blue glitter on top. 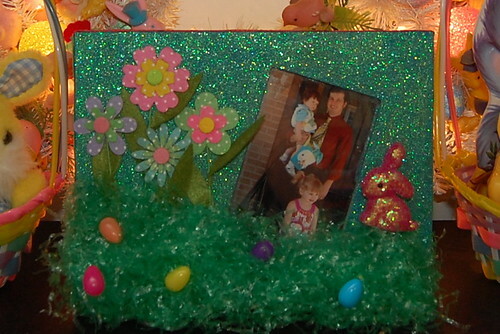 For the bottom half of the frame I glued on green Easter grass. Feel free to decorate your grass however you see fit. 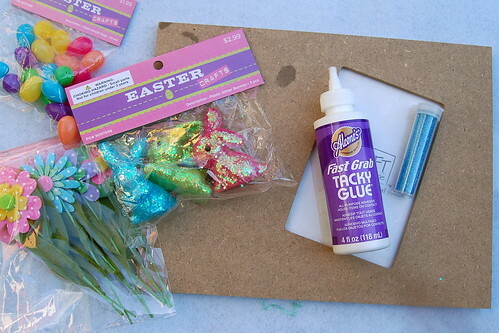 I opted for plastic eggs, glitter covered bunnies and felt flowers. All that was left to do was choose the perfect picture of my family to put inside. This is us last year headed into church. 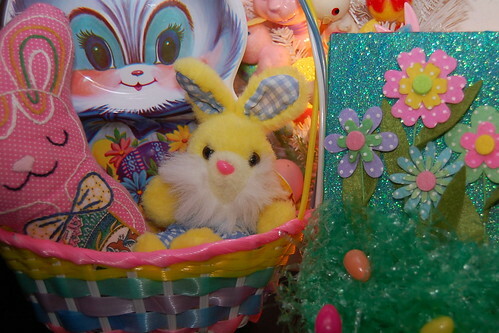 I love the way the glitter shimmers by the light of my Easter wreath. This looks so Simple...yet fun!